The 2018 Drum Corps International World Championships, Aug. 6-11, will mark a weeklong celebration of the world's most elite marching music ensembles. Featuring a high level of performance excellence coupled with an intense competitive spirit, 40 drum and bugle corps filled with dedicated young performers will take the field throughout the week, creating unparalleled excitement as they vie for the World Championship title. Adding to the entertainment in Indianapolis will be 15 SoundSport teams, whose all-age, all-instrumentation performances will add unique flair to the World Championships Week atmosphere. But the World Championships are more than just competition and placements. Thousands of drum corps alums, family members and fans will travel thousands of miles to share in the excitement of this year's “Finals Week,” and thousands more will join in through live coverage provided by FloMarching.com and through the 15th-annual "Big, Loud and Live" cinema broadcast, before another summer season is written into the history books. The action kicks off in Michigan City, Indiana, with the Open Class Prelims and Finals Monday and Tuesday, August 6 and 7. Events will then move to Indianapolis, beginning with the DCI Performers Showcase presented by System Blue. Following will be the Kickoff Party and Hall of Fame Induction on Wednesday, August 8, before the action moves into Lucas Oil Stadium August 9-11, for three incredible days of competition. Bookmark this page, as we'll update this guide throughout the week of the Championships with additional information as it becomes available! • Open Class action: Open Class corps return to Michigan City's Ames Field in Northwest Indiana to kick off the week's schedule of events. 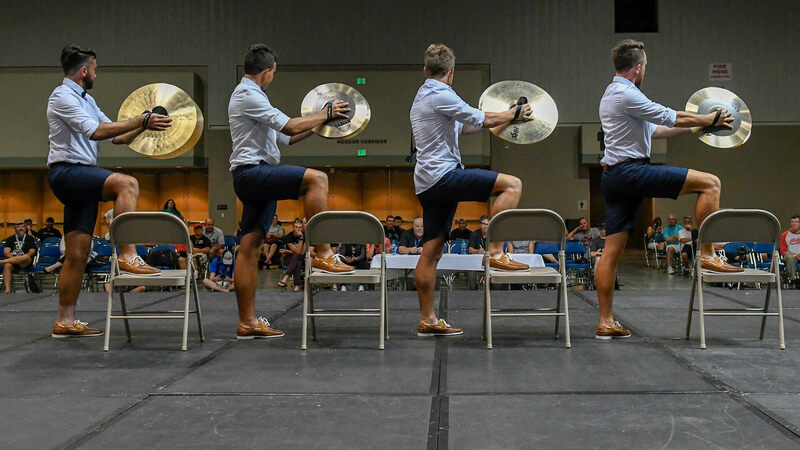 • Individuals and ensembles: The DCI Performers Showcase presented by System Blue returns to the Indiana Convention Center and Indianapolis Artsgarden setting the stage for the best of drum corps' individual and ensemble performances. • BANDtastic! : Nearly 500 Indiana middle school musicians will descend upon Indianapolis as members of the INpact Indiana's Future Band convene for two days of educational sessions, rehearsals and performances around the DCI World Championships. • The race is on from Lucas Oil Stadium: The fifth-annual Street Beat 5K comes to downtown Indy the morning of the DCI World Championship Finals for a run/walk race that will support the ongoing efforts of the Marching Music Health and Wellness Project. A new route in 2018 will get its start at Lucas Oil Stadium and end on Pan Am Plaza, site of the SoundSport International Music & Food Festival. • SoundSport & DrumLine Battle continues to grow: The third-annual SoundSport International Music & Food Festival returns to Indy as both SoundSport and DrumLine Battle teams get things going the morning and afternoon of the DCI World Championship Finals. The festival-like atmosphere will bring food vendors together with an incredible assortment of music and interactive entertainment. • Visitors from home and abroad: A variety of ensembles will make their way to Indianapolis for a number of special performances. Jubal, an International Class corps from the Netherlands makes its return to the World Championships for the first time since 2015, while the inspiring performers of the FREE Players Drum Corps and Community Living Hamilton will help headline the SoundSport International Music and Food Festival. Ames Field in Michigan City, Indiana will host the Open Class DCI World Championship Prelims and Finals. About: In its 11th year in Michigan City, the Open Class Prelims will kick off all 2018 World Championship events. Taking place at Ames Field, an intimate stadium built with drum corps in mind, this event will feature 15 Open Class corps, as well as The Netherlands' Jubal from across the pond. 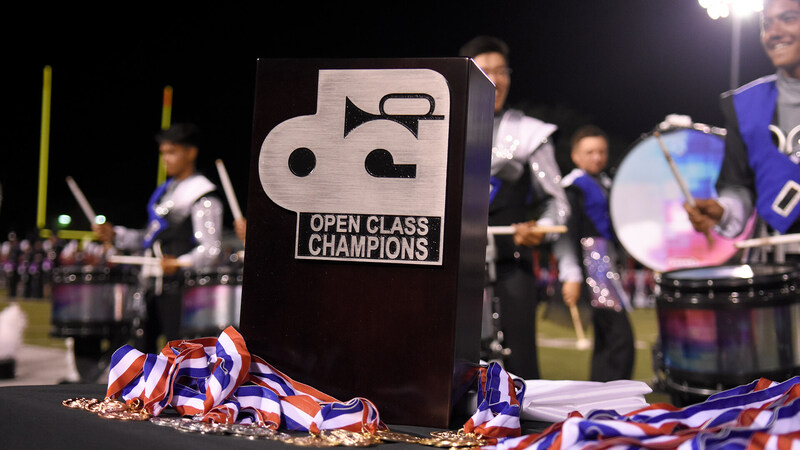 The 2018 Open Class Champion will be crowned on Tuesday, August 7, in Michigan City, Indiana. 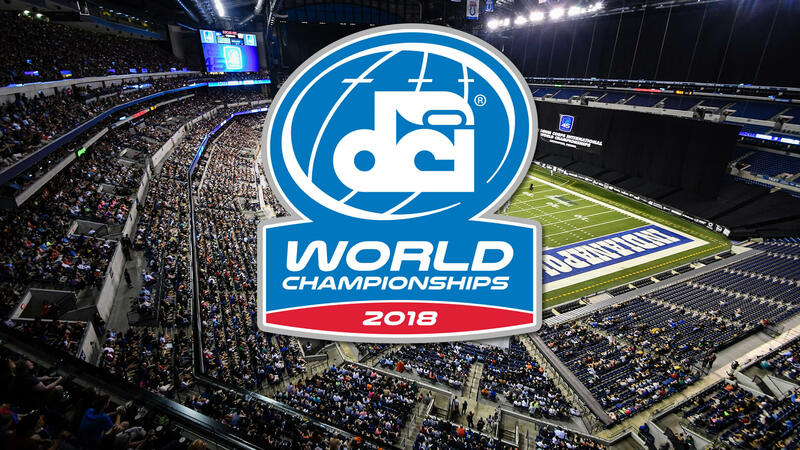 About: The DCI World Championships continue on Tuesday, August 7, as the 12 top-scoring Open Class corps from the Open Class Prelims compete for the title of World Champion. Individuals and ensembles will be in the spotlight during the DCI Performers Showcase on Wednesday, August 8. 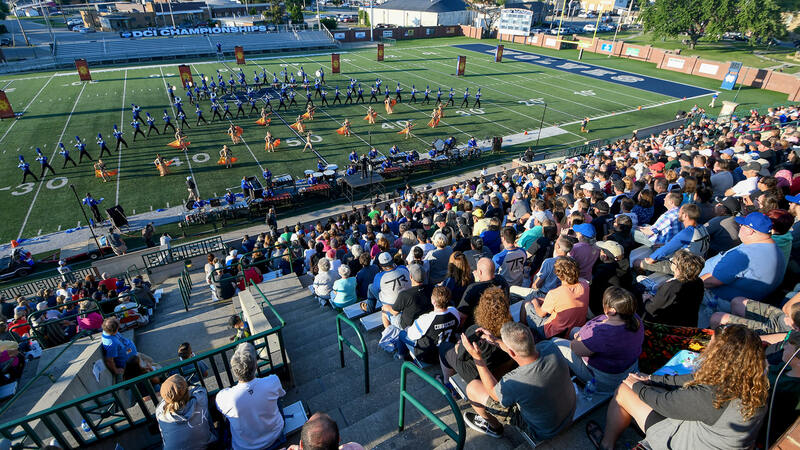 About: The DCI Performers Showcase presented by System Blue will give members of World and Open Class drum corps and even SoundSport and DrumLine Battle teams the opportunity to show their individual and small group talents in an up-close setting. This year's event finds its home inside the Indiana Convention Center in downtown Indianapolis, with some performances also at the Indianapolis Artsgarden (110 W. Washington St.). When: Venue opens 9 p.m., induction ceremony starts 10 p.m.
About: Kicking off World Championship celebrations in downtown Indianapolis, this annual party will include a special recognition of the newly inducted DCI Hall of Fame Class of 2018, live music, raffles, auctions and other entertainment to keep the festivities running late into the night. Proceeds will benefit various Hall of Fame projects, one of which is the Jim Jones Leadership Scholarship Fund. View all items up for bid: DCI Hall of Fame Kickoff Party auction.